Live abstract watercolor fashion illustration portraits for Mother's Day in-store event at Chloe in South Coast Plaza, Costa Mesa, California. 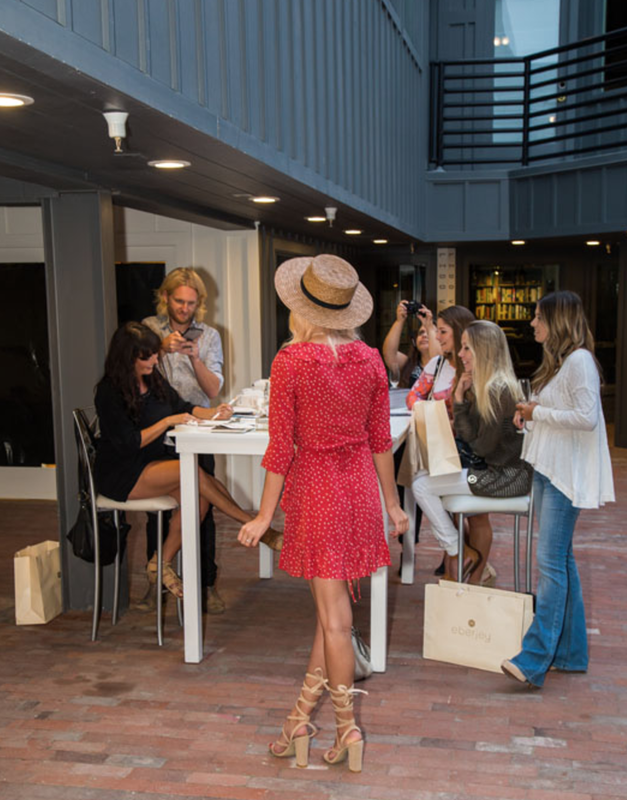 Live watercolor fashion illustration of influencers at the Eberjey Lido marina Village store opening in Newport Beach, California. Delaney Evers, Sarah Loven, Alexandra Taylor, Jen Hawkins, & Sydney Wheeler. Live watercolor fashion illustration by Kimberly Heimbach for the Women to Watch celebration held at Winston's Crown Jewelers in Newport Beach, California. See more press for this event here. Seen here an original commissioned watercolor fashion illustration for the Bloomingdales Outlet printed on cards and live hand-lettered with watercolor for guests at the Yelp OC Elite event held at the Outlets at Orange. 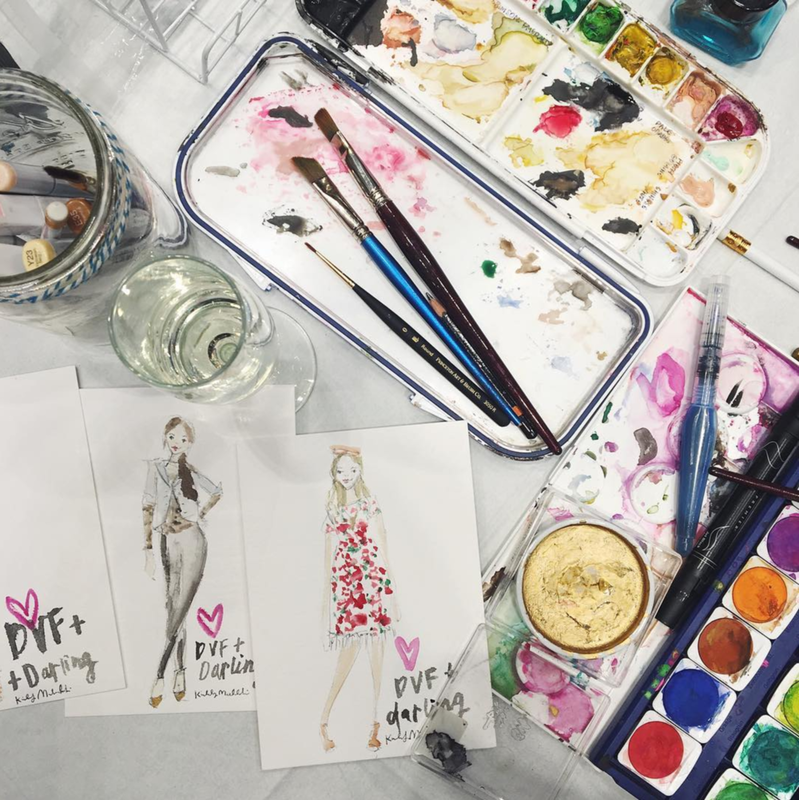 Live watercolor fashion illustrating guest at the Darling magazine and DVF Santa Monica store event at Third Street Promenade. Live watercolor fashion illustrating guest at OC Fashion Week's event at The Pelican hill Resort in Newport beach, California.